Over the past year we've received lots of emails about personalized dog food blends that are tailored to your pooch's specific dietary needs. And now it looks like that trend is moving into the treat market! 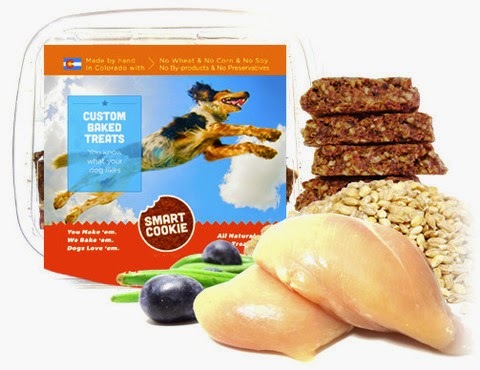 Smart Cookie, which is based out of Colorado, lets you choose the your pup's favorite protein, carb and fruit/veggie and combines them into handmade, freshly baked cookies. Made and sourced in the USA, and all of Smart Cookie's ingredients are human-grade, and include doggy favorites like salmon, flax seed, quinoa, green beans and blueberries. They contain no wheat, no corn, no soy, no by-products and are free of preservatives. 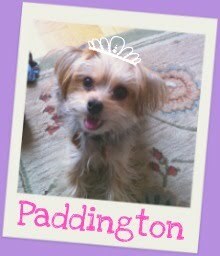 To get started, head to their website to get started customizing your dog's own custom treats. If you're feeling overwhelmed, they've also got some pre-created cookies to select from. Each 9oz box (roughly 50 treats) costs $10, which seems very reasonably priced to us. Have you gotten on the custom dog food/treat band wagon?